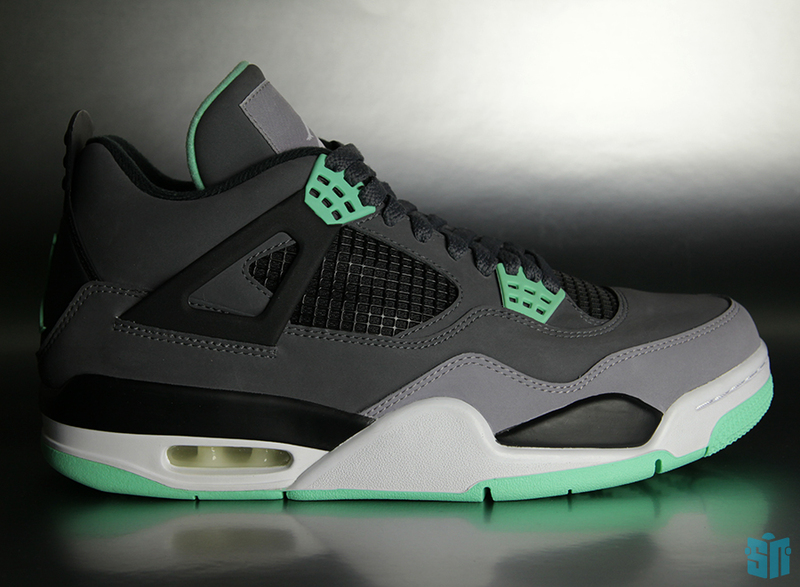 The Air Jordan IV has been one of the busier silhouettes amongst Jordan Brand’s retro offerings as of late. 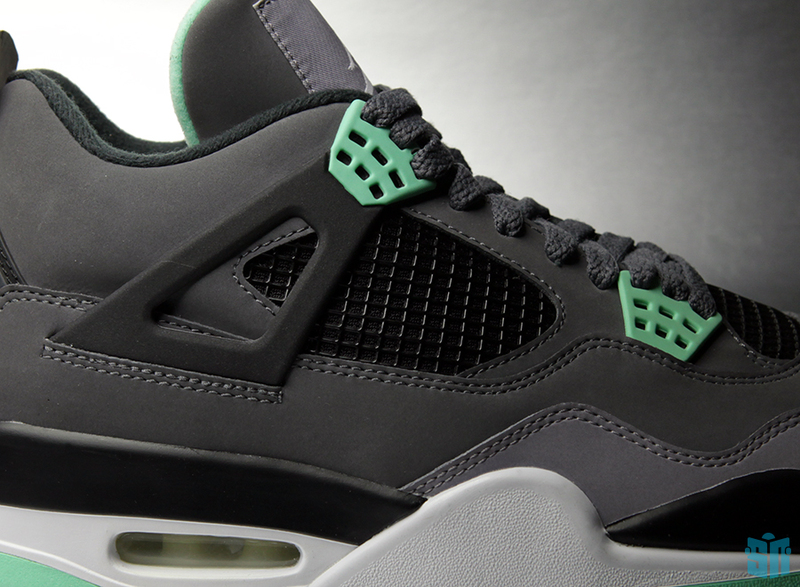 You’ll recall that they were all over 2012, a presence that was celebrated by many (Us included-the range landed the silhouette an appropriate #4 spot in our Sneaker News Top 30 of 2012). 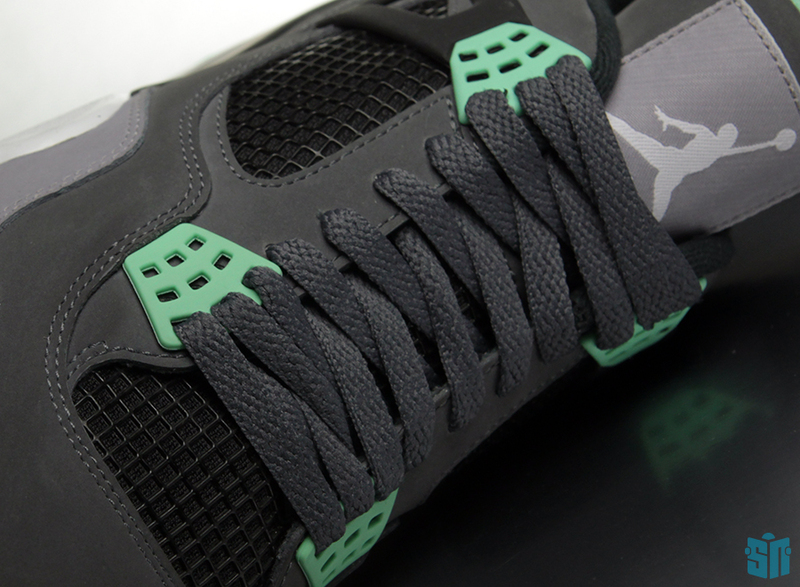 During that year the shoe got all of the OG colorways out of its system-the “White/Cement”, “Bred”, “Military”, and “Fire Red”-which left the sneakers no choice but to blaze some new trails for 2013. 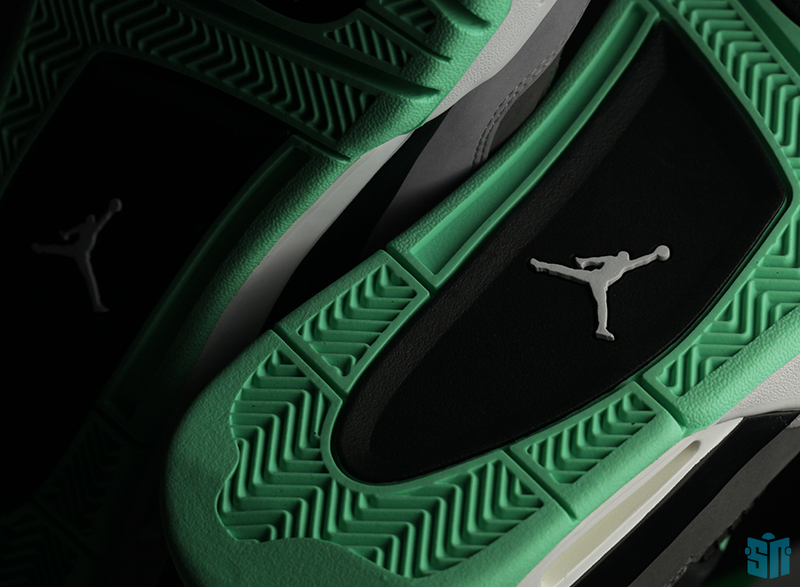 And blaze it has, the first new colorway of the year being the immediately celebrated “Toro” version previously shown off in this space. 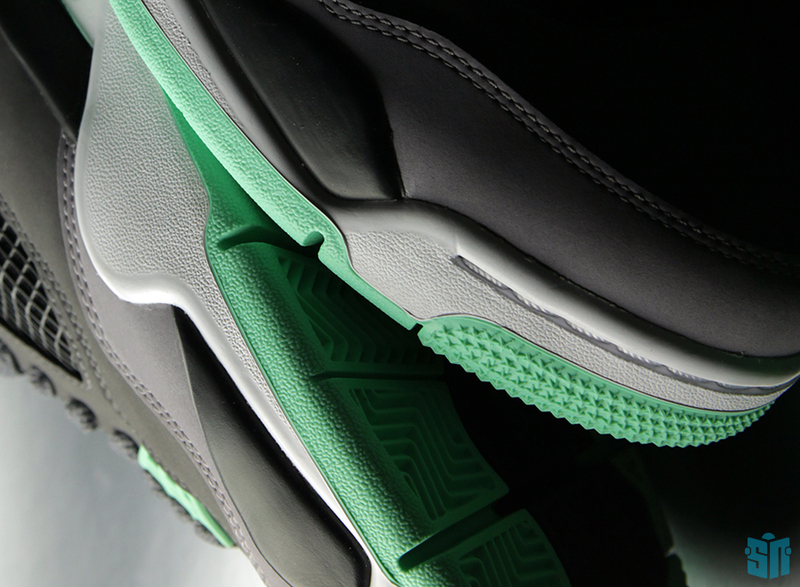 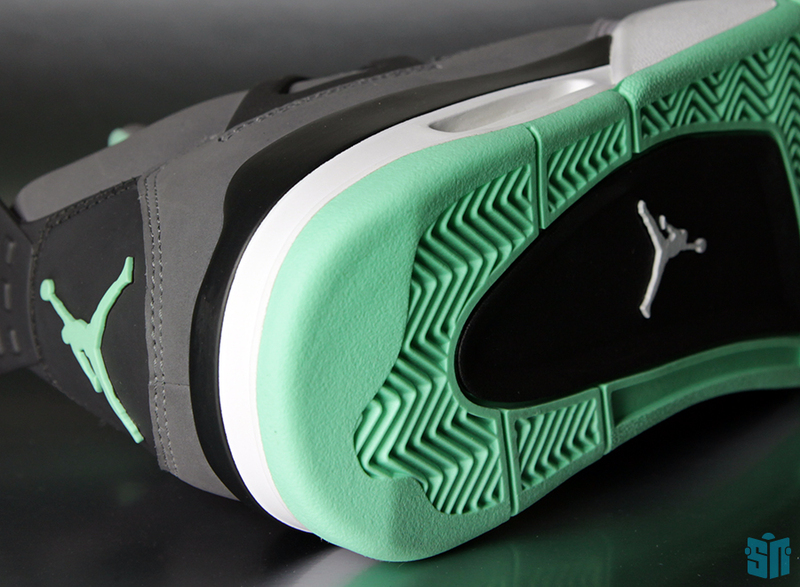 Next up the sneaker will be dressed in the much more muted “Green Glow” scheme. 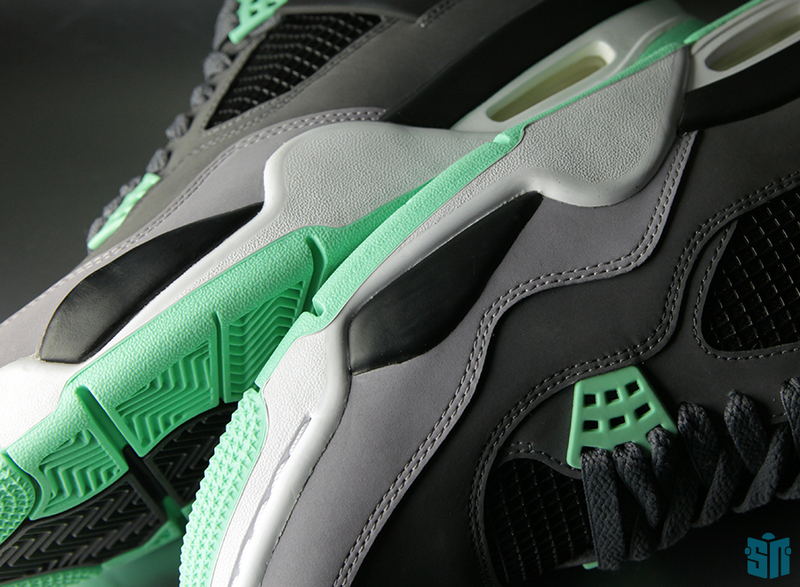 Glow in the dark sneakers have been plenty popular over the last couple of years, and the luminous outsole accent is one we’ve seen over countless Quickstrike and collaboration style releases. 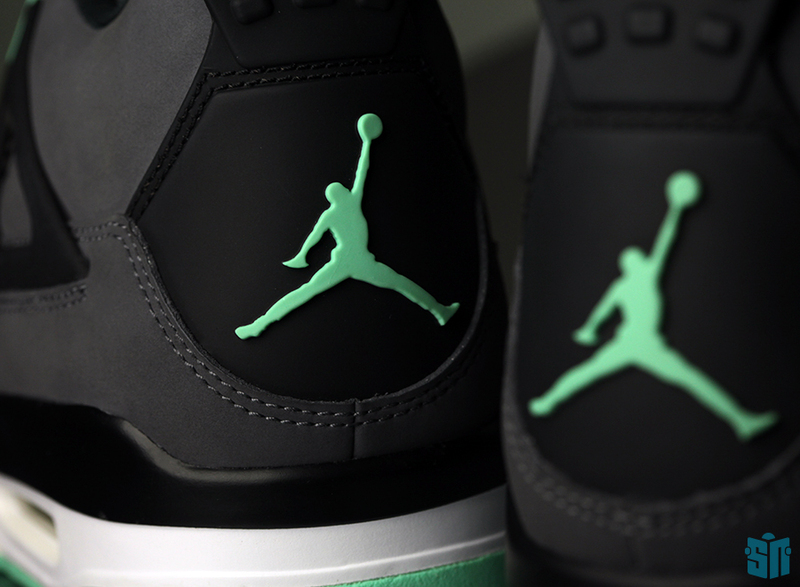 This isn’t one of those though; Instead, Jordan Brand has opted for a more tasteful take on that trend, letting their green glow while the lights are on. 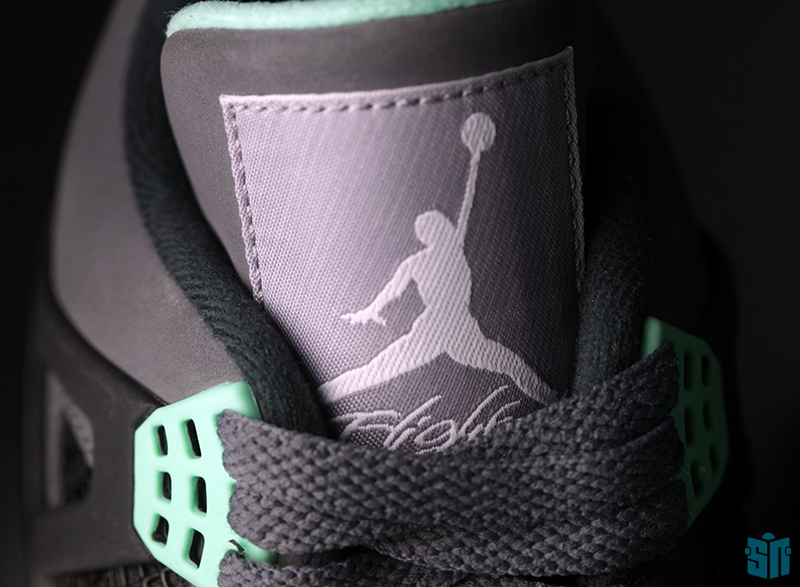 Aside from that titular tone that shows up across the outsole and the lacing system, the shoe is an otherwise very shadowy affair. 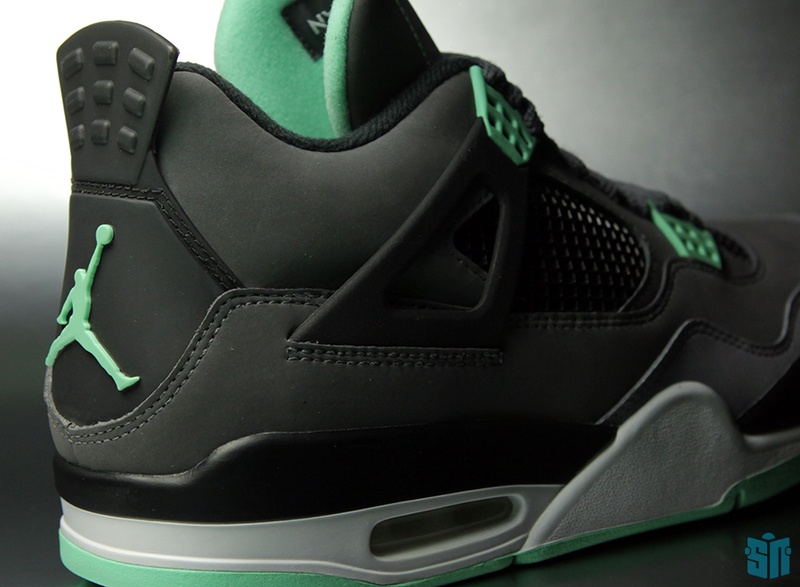 The Air Jordan IV serves as the lead for a series of Jordan Brand “Green Glow” footwear like the Super.Fly 2 and the Son of Mars Low, among others. 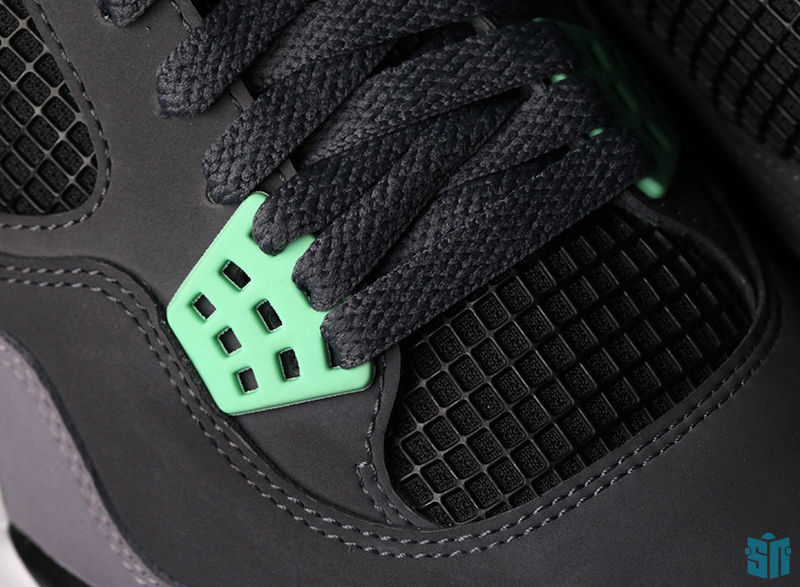 Continue reading for a complete gallery of beauty shots on the upcoming Air Jordan IV “Green Glow” and remember to check in with Sneaker News on the regular for this sort of exclusive imagery on all of Jordan Brand’s noise-making retros for 2013. 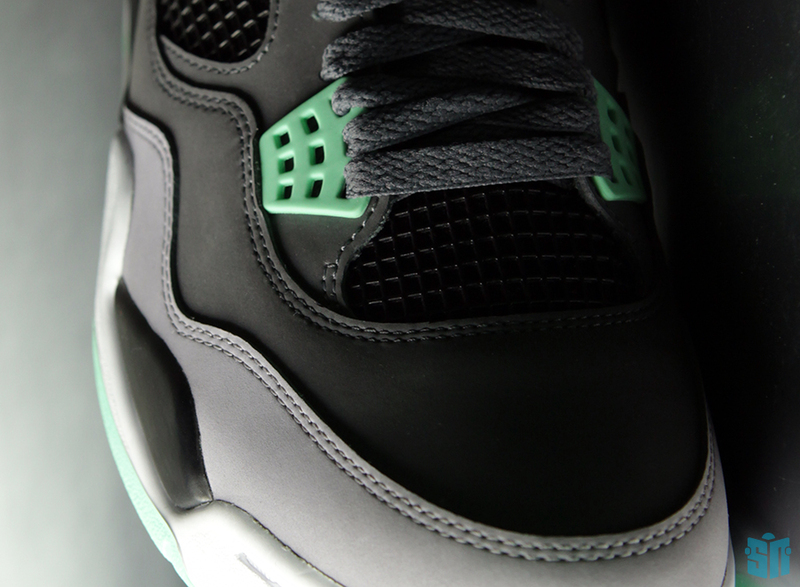 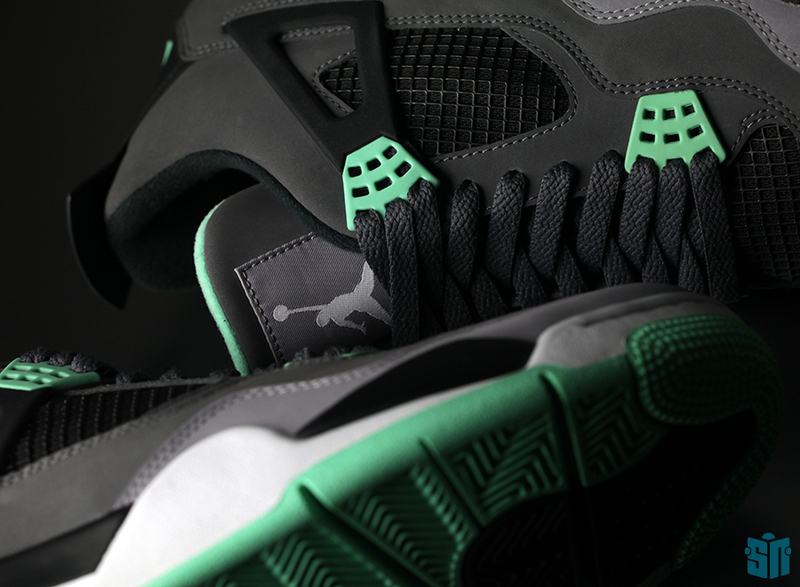 The Air Jordan IV “Green Glow” releases on August 17th with a retail price of $160.